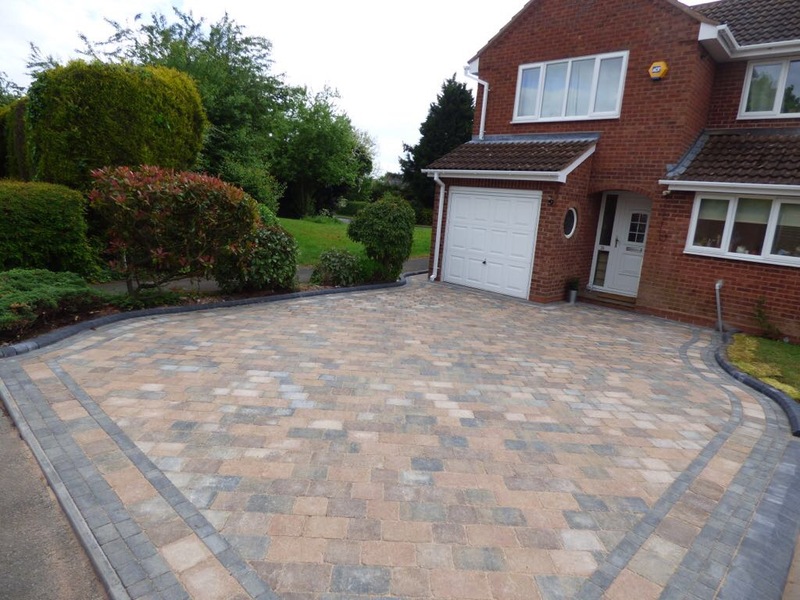 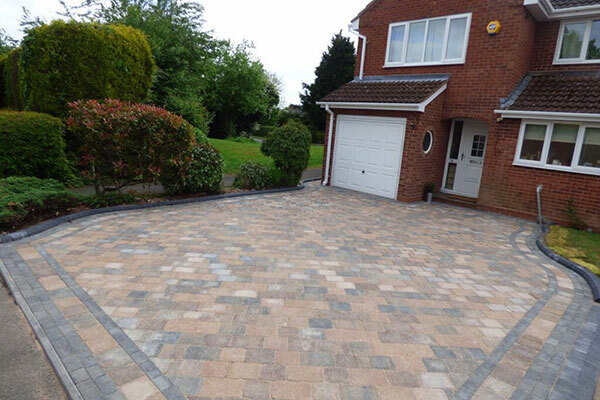 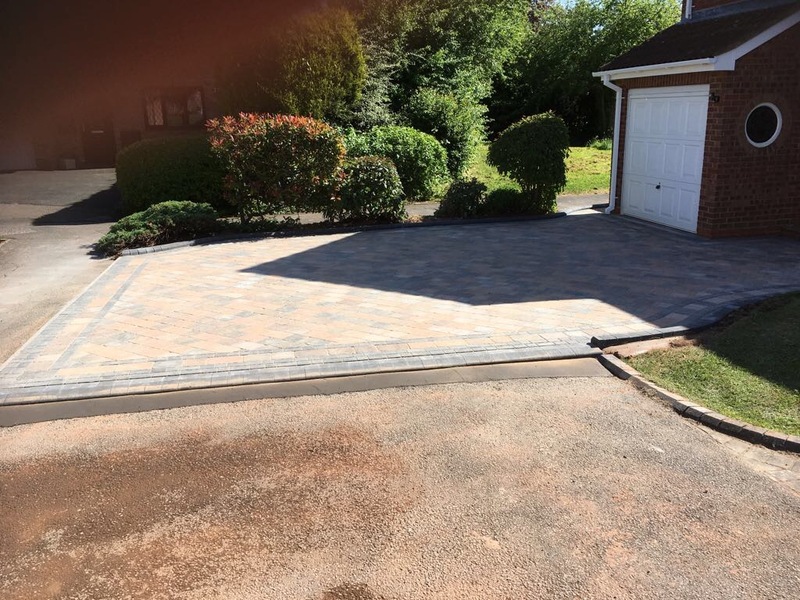 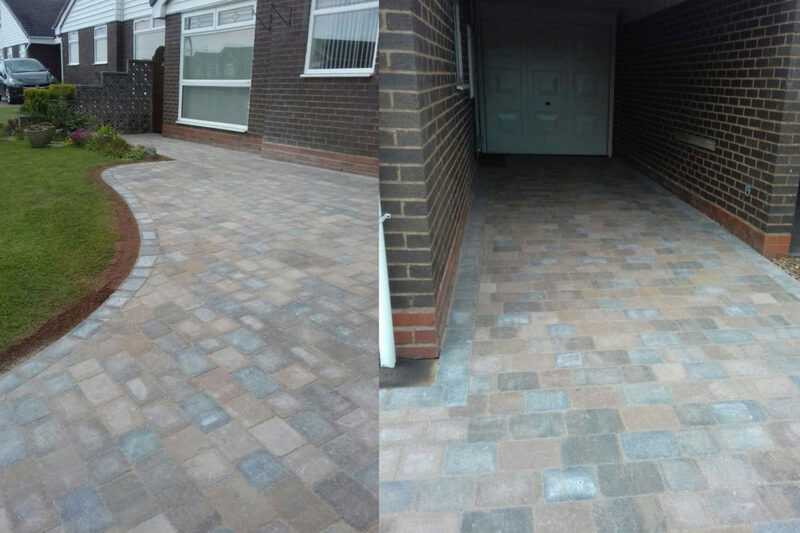 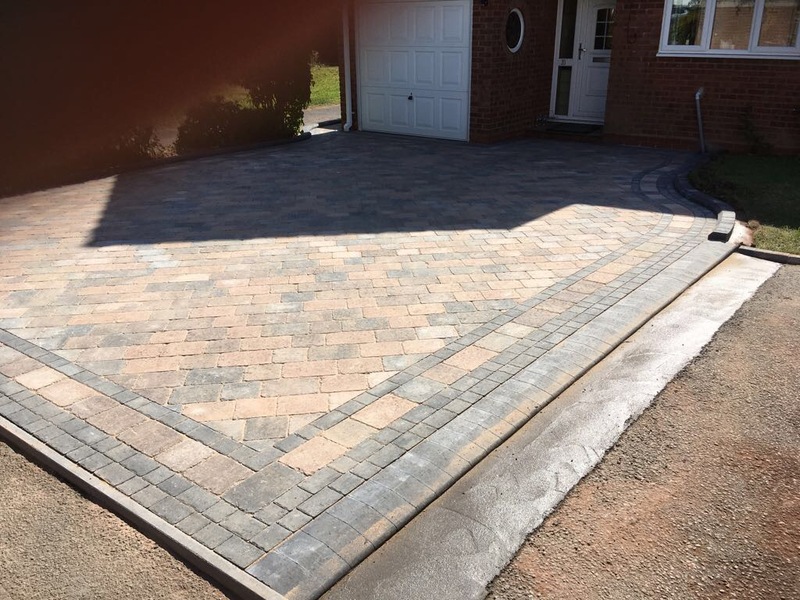 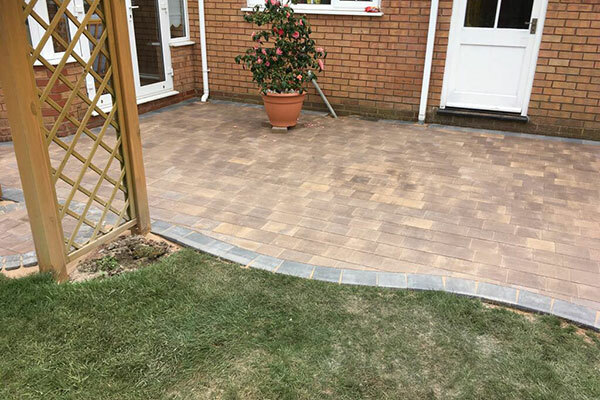 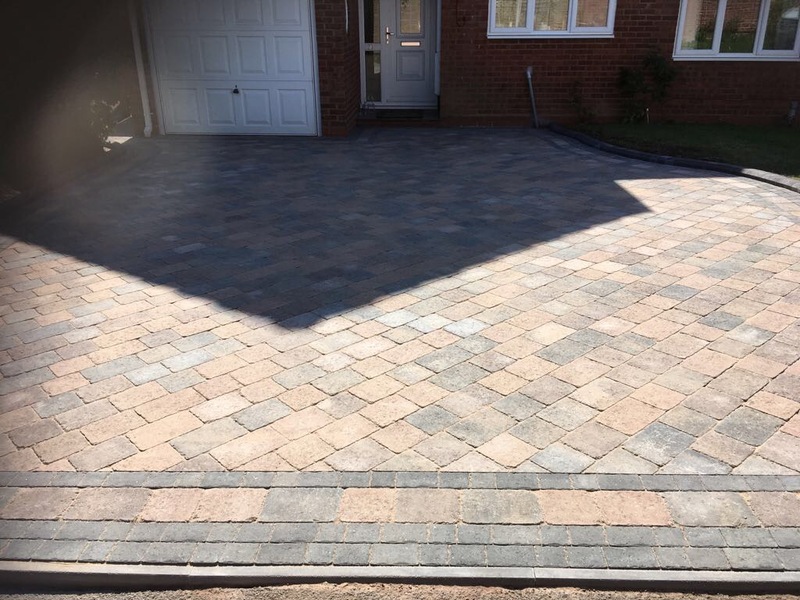 A large new block paved driveway in Redditch featuring cobble Sorrento Carabara Heather block paving and grey kerb edges to the plant borders. 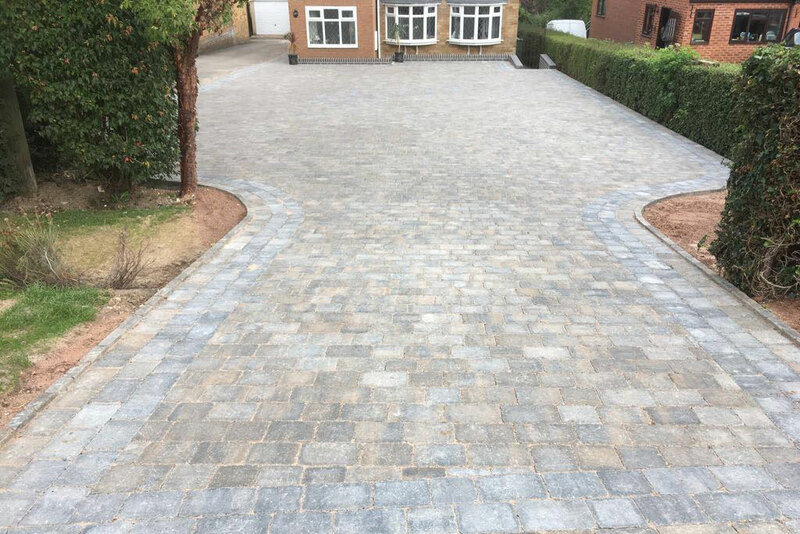 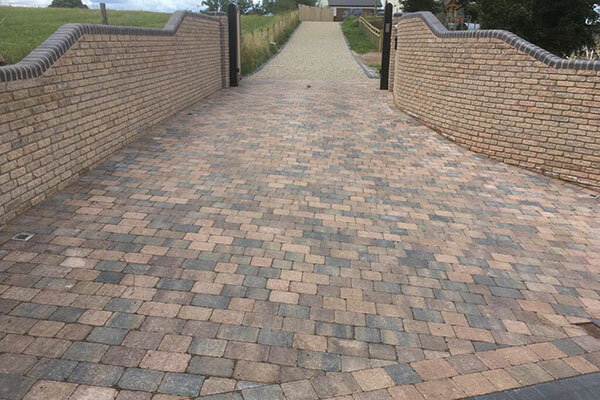 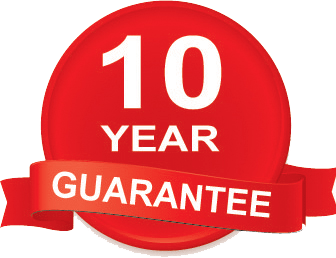 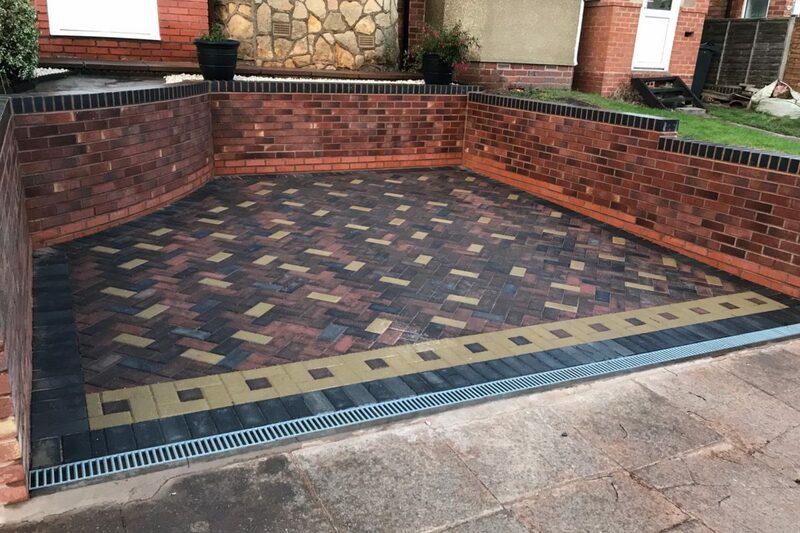 We used Sorrento Natural Grey pavers around the perimeter in coursed layout, followed by another single course of heather and natural pavers to provide character to the driveway. 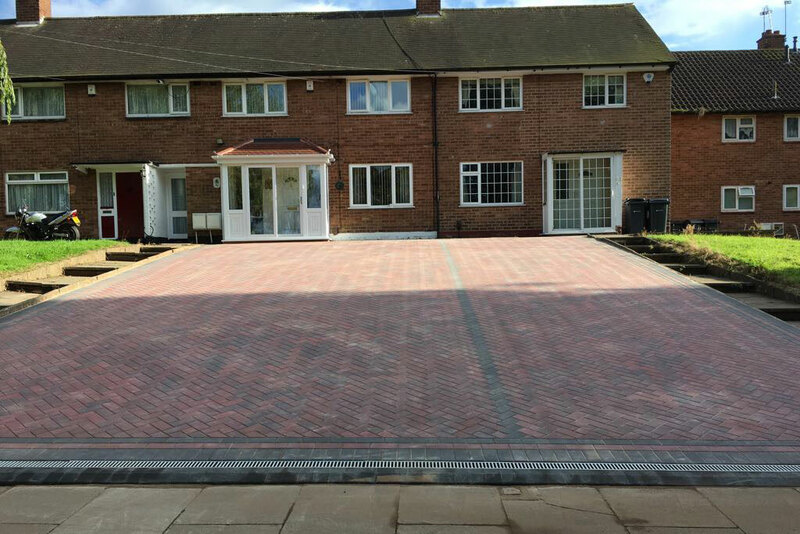 This driveway now provides enough space for 4 cars.